Product Catalog > Geology Books and Rock & Mineral Posters > Help, I Have to Teach Rock and Mineral Identification and I'm Not a Geologist! Help, I Have to Teach Rock and Mineral Identification and I'm Not a Geologist! *This book is available in paperback and electronic versions. If you order the electronic version, we will send you a link where you can download the PDF version. If you need a little assistance teaching your students or simply finding new ways to explain the concepts, this book is for you. Questions? 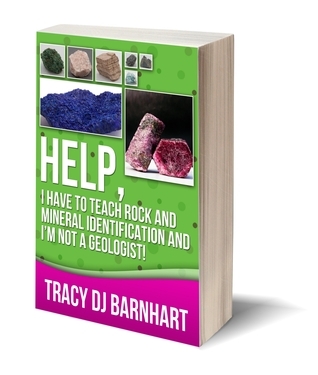 Watch this video or email me for details on this new book at tracyb@minimegeology.com.